This is the eighth day in a series: 31 Days of Memory Keeping. Check out all the posts here. We have been talking about memory keeping for a week. Today, I want to pause to simply say: make a memory. 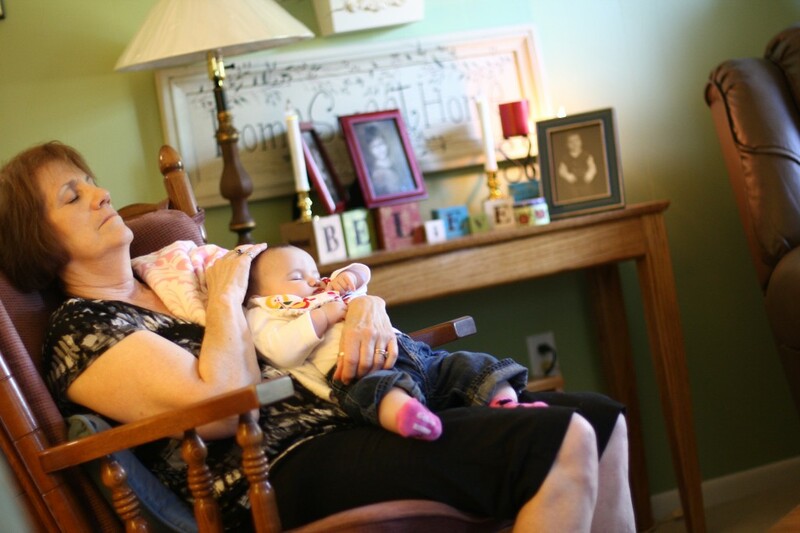 Matthew’s mom and Adeline: Sometimes the simplest, every day moments are the most beautiful pictures. We are going to soccer games. I will definitely be documenting this weekend of memories made. This weekend we went to a Harvest Festival and took lots of pictures :). Making the memories is the first step to keeping the memories. I am enjoying your series so far! Lovely picture of the kids, wonderful of Grandma. It reminded me of a cherished photo my mother took when I was a child in the fifties. It was a close up of my grandmother ‘ s hand holding mine showing me how to sew with a needle. She has been gone almost thirty years and it is still next to where I keep my needles.